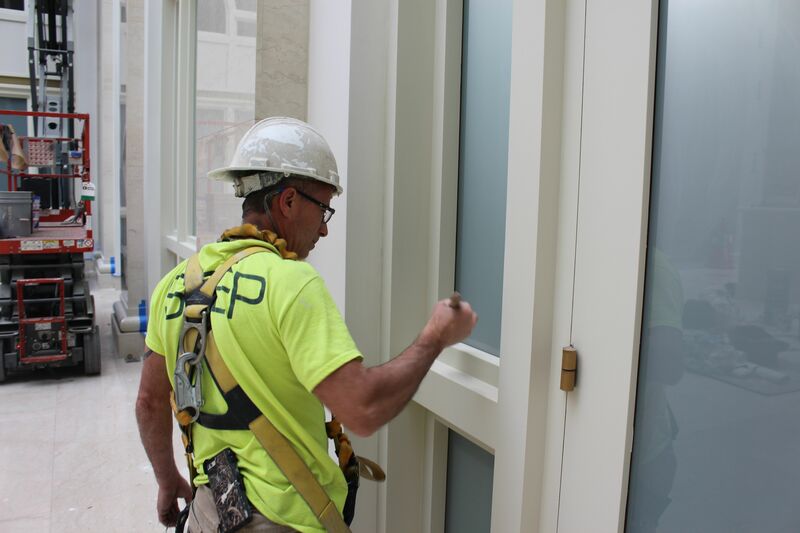 Working for Gilbane Construction our team is currently painting the expansive atrium at 222 Berkeley Street, one of Boston's most iconic office buildings. 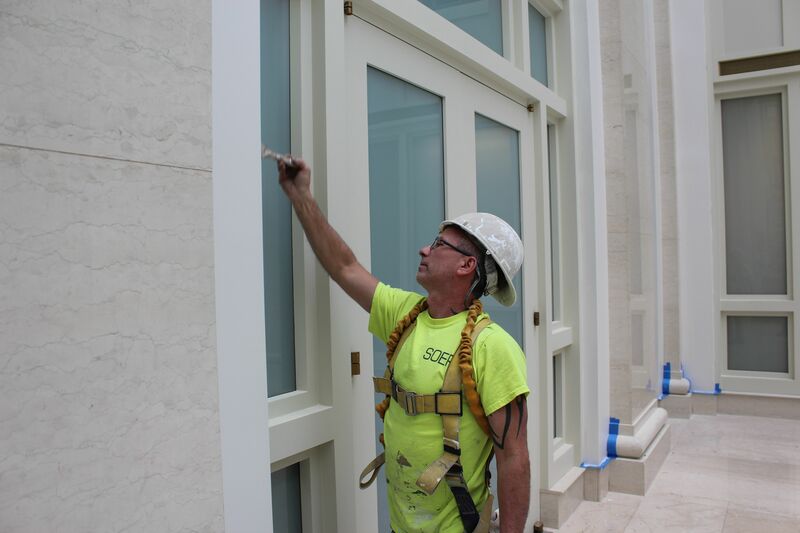 We recently checked in on the progress of the multi-story space that our team has been painting in its entirety. 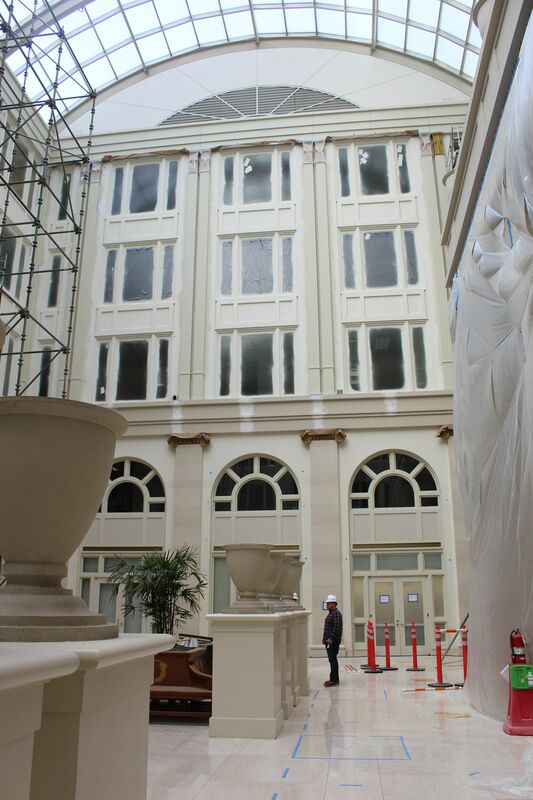 After completing the atrium the team will move onto paint the building's lobby. See our progress photos below. 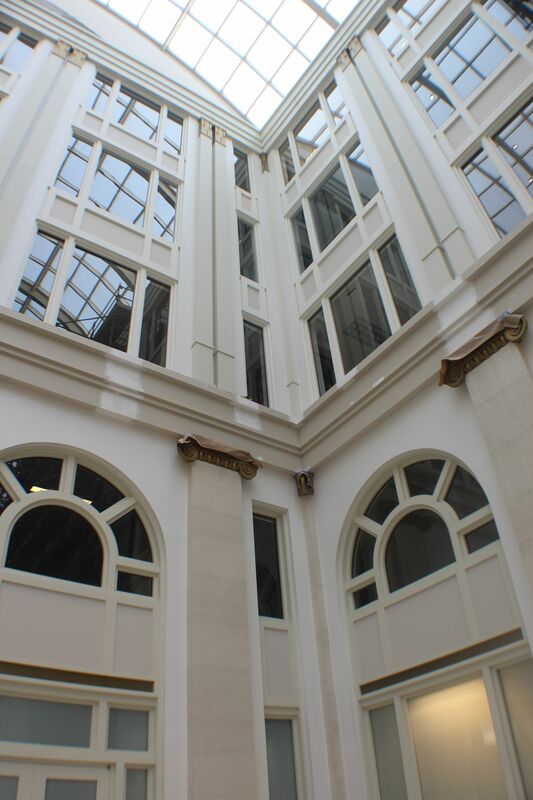 Progress photo showing one side of the atrium at 222 Berkeley St., Boston. Project Foreman Jimmy Winningham doing some touch-up.